My very first book is now available as a PDF. To purchase a copy for $16, click here. You can keep this digital book on any and all devices you own, and print out pages as you wish. The digital version is richer than the original (which is now out of print). It includes video links, yarn substitutions, interior color photos, a new foreword, and a fresh layout. 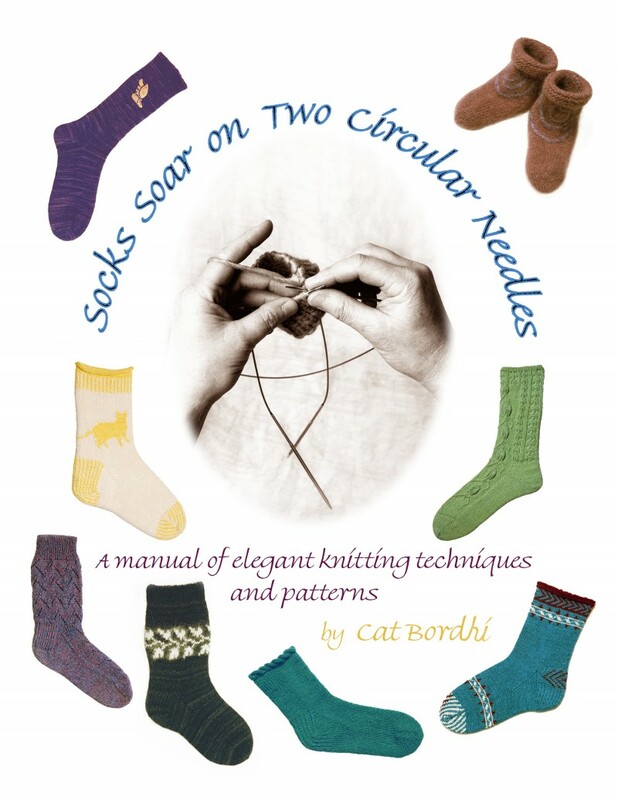 Since 2001, Socks Soar has sold over 100,000 copies and expanded the happiness of sock knitting. A few years later, Sara Hauschka’s Magic Loop method of using just 1 long circular needle opened yet another option. By the way, socks really do soar on 2 circular needles!